Stationery shopping in Osaka was high on my priority list for our trip to Japan but squeezing it into our itinerary was not easy. My wonderful hubby is very sweet and extremely patient with all my shopping, but he does like to go sightseeing once in awhile. But, on our second day in Kyoto, it rained and rained…and then it rained some more, giving me the perfect opportunity to spend the day shopping in Osaka. 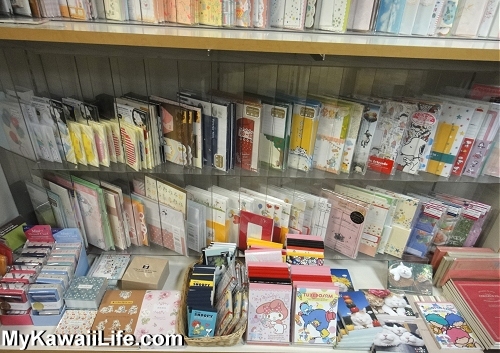 Before we left on our trip to Japan, I did a LOT of research on the best places to shop for cute kawaii stationery in Osaka. 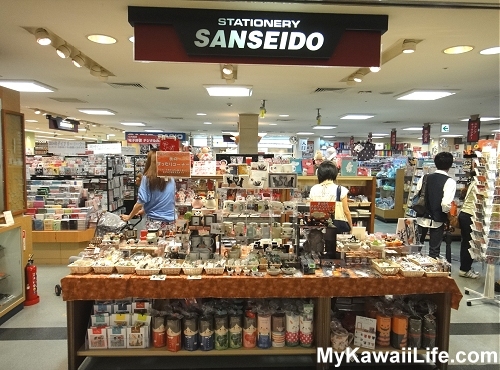 While researching, I came across a store called Sanseido Stationery. Unfortunately, though, I couldn’t find out anything about it– no descriptions, no pictures and no reviews. All I had was a name and location. I really didn’t know if it was worth the time to visit, but I thought since it had the word ‘stationery’ in the name, I’d take the risk. So, we headed to Tennoji Station to have a look. And wow! It was fantastic! I had a ball at Sanseido Stationery. I can’t tell you how much time I spent walking round and round looking at everything over and over again. There was just too much cuteness to see. They had every kind of cute stationery you could imagine – notebooks, diaries, memo pads, pens, pencils, erasers, scissors, name cards and so much more. One of the first areas to grab my attention was the wall of stickers. They had lots of stickers from all of my favourite kawaii brands (like Mind Wave, Kamio and San-X) as well as some brands that I hadn’t heard of before. But what really attracted me was the huge selection of sticker sacks. I had never seen so much variety in one store. It took me forever to choose which sacks to buy. And when I finally finished looking at those, I found some more. Eventually I tore myself away from the stickers and moved on to looking at their selection of the letter sets. I’m sorry I did not take more photos to share with you. I really was very distracted. I could have spent a fortune in this store, although I was trying to be a little bit restrained with my shopping here. After all, it was only the first shop of the day. I’m not sure I succeeded though. 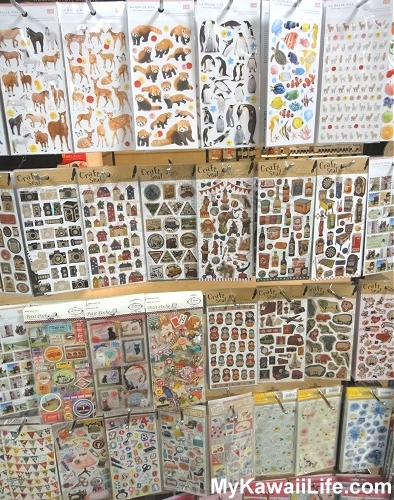 I ended up buying fifteen sheets of stickers, five sticker sacks, two letter sets, two memo pads, two scented pens and a pair of scissors, but I will share them all with you in other blog posts. I will definitely be heading back to Sanseido next time I am in Osaka. 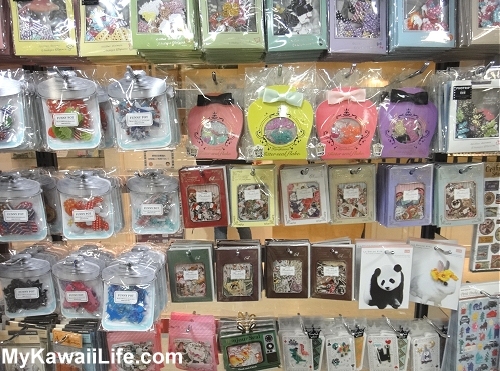 If you love kawaii stationery, you might like to pop in too. 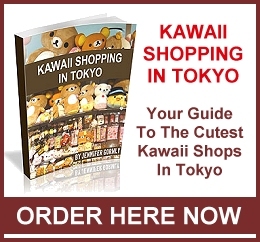 To get there, take the train to Tennoji Station (on the JR Osaka loop line) and head for Mio shopping centre. Mio shopping centre is two separate buildings. They are right next to each other and are right above Tennoji Station. Sanseido Stationery is on the 9th floor of the main building. If you end up in the wrong building, you will soon realise your mistake – the second building does not have a 9th floor. I hope you have as much fun stationery shopping in Osaka as I did. If you found this post interesting, please Pin this to your Pinterest boards Thanks. 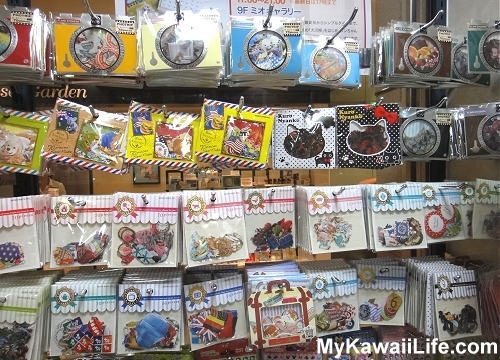 This entry was posted in Japan, Kawaii Stationery and tagged Japan, Kawaii, Kawaii Stationery, Kawaii Stickers, Letter Set, Osaka, Sticker Flakes, Sticker Sacks, Stickers. Bookmark the permalink. 7 Responses to "Stationery Shopping In Osaka"
It was an amazing shop. I hope I get to go back one day. Best piece of stationery we bought in Japan last year was a calendar sticker set. Each well designed month is on an individual sticker sheet that can be added to any notebook or journal. I’ve tried for weeks now to get something similar for 2014 in New Zealand/Australia/Germany/Italy, or online with a shop that delivers to NZ – but no luck so far. 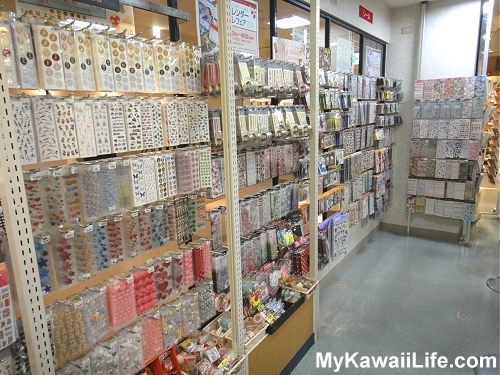 Japan is absolute heaven for any stationery addict! I saw some of those, but I forgot to pick some up. I was too distracted by everything else. I hope you manage to find some. Thank you so much! This makes me so excited to get to Osaka next week!! !